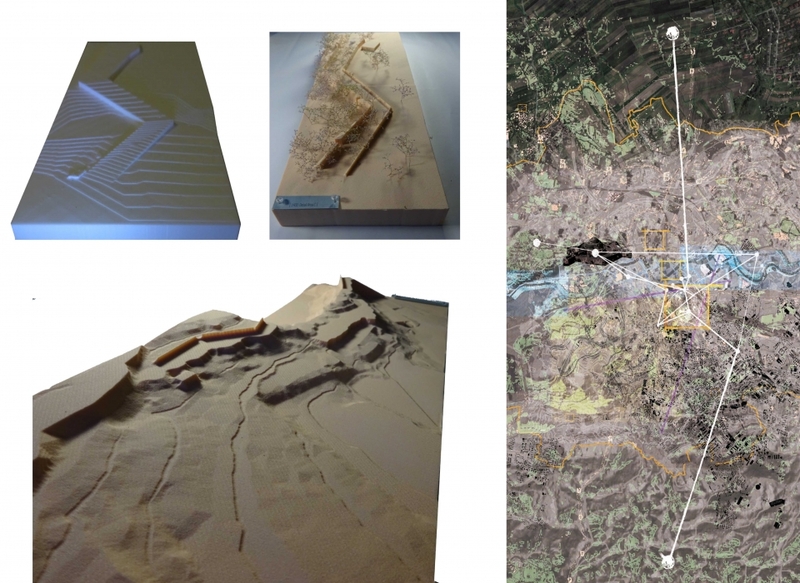 Peter Daniels Prize for best skills in site analysis – Molly Gordon. 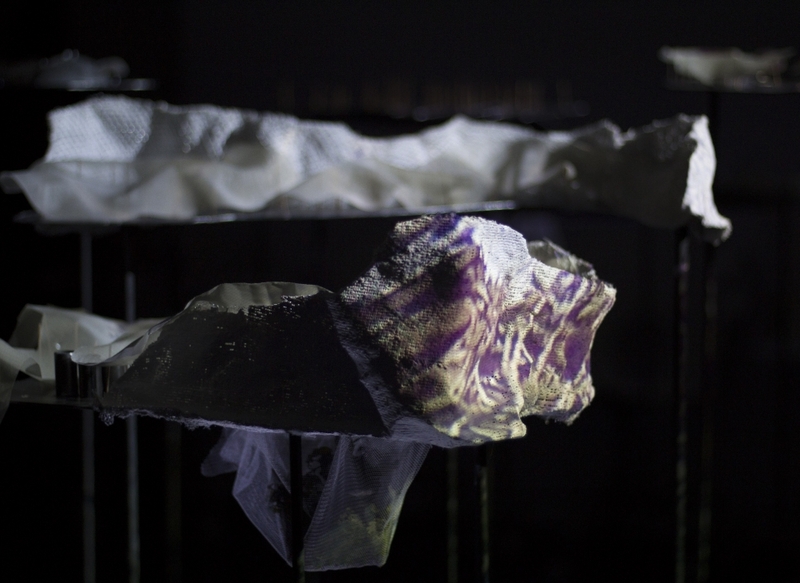 My graduating work at The University of Edinburgh included two urban projects; Krakow and Manchester, both projects encouraged me to approach the briefs in an exploratory fashion, using tactile model making and addressing pressing social and historical matters in both cities. 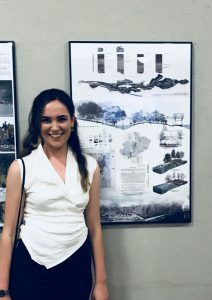 Throughout my time on the course at Edinburgh, the studio atmosphere and the diverse knowledge of visiting tutors has encouraged me to test different approaches and expand my knowledge of Landscape Architecture. My first semester project ‘Sequential Shelves’ based in the former WWII concentration camp Plaszow Krakow, was guided from concept to design by the application of Gestalt theory. The theory allowed our fieldwork group to grasp an understanding of the subliminal and physical elements in the site, which relate strongly to the traumatic history. 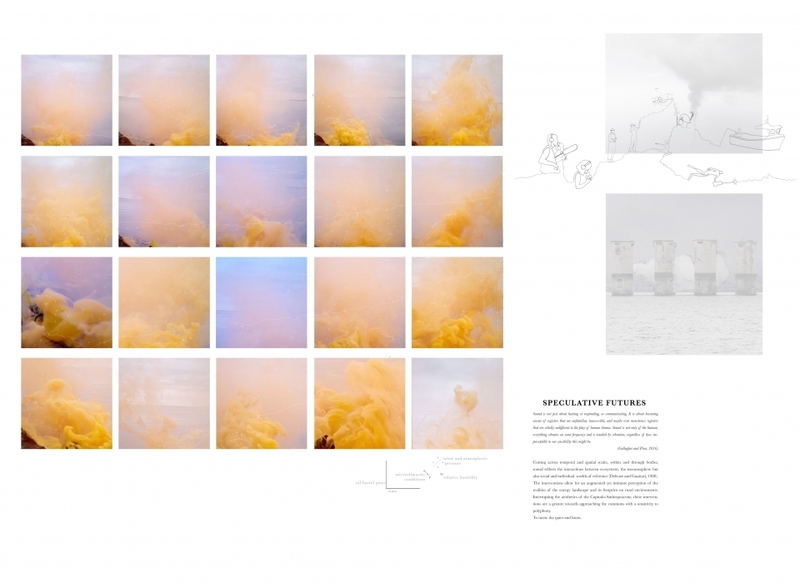 We aimed to repersent the striking atmosphere experienced on site, in the form of a multimedia interactive installation. Being able to move in and around the model, represented the ‘intermediate’ level or vantage points which push and pull you around the site. This bold intermediatelevel inspired and informed the manipulation and use of vantage points in the proposed design, to orientate and influence visitor’s movement. 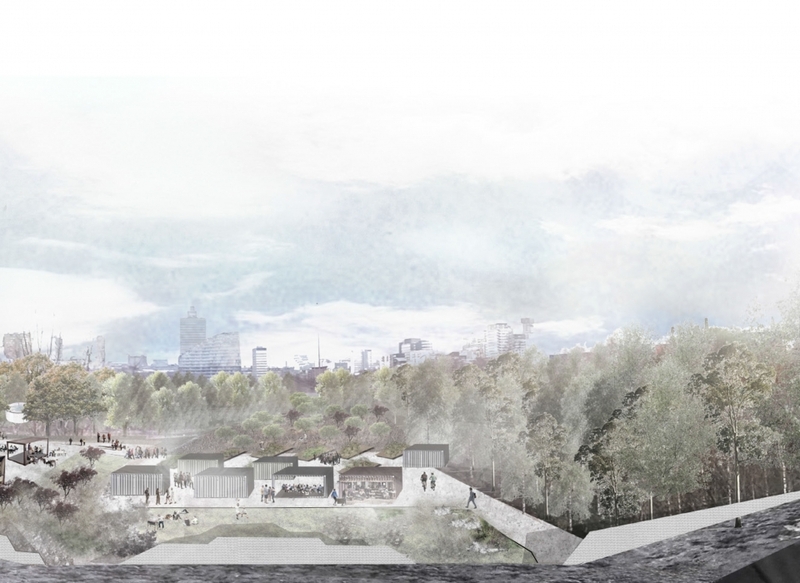 Overall the sequential experience of moving around the site on framing shelves, aims to retain the memory and increase the awareness of the historyofthe site through generational shifts, whilst allowing spaces away from the former camp to be utilised in the form of recreation. 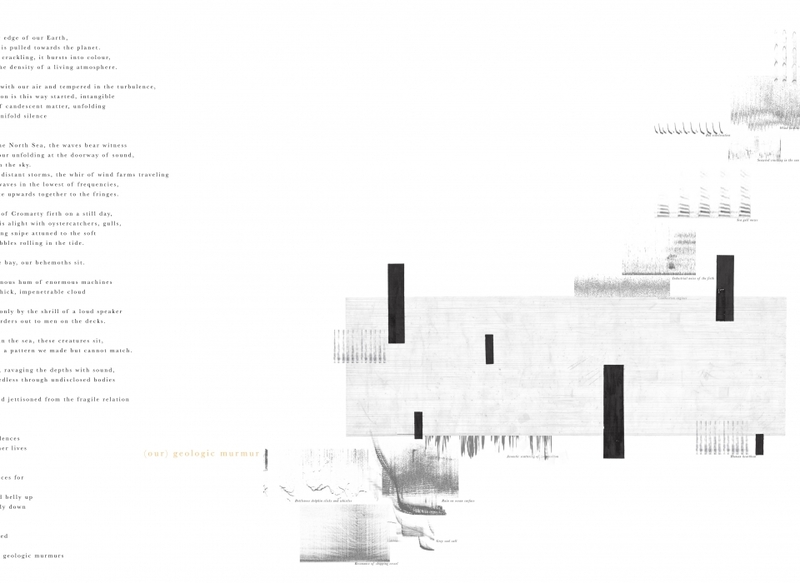 The second semester project ‘Social Strata’ based in Manchester, addressed the damaging issue of Land banking as a result of the rapid urban growth within the city. Land Banking prohibits social activity in spaces for as long as 10 years, hindering any potential benefits for surrounding communities. 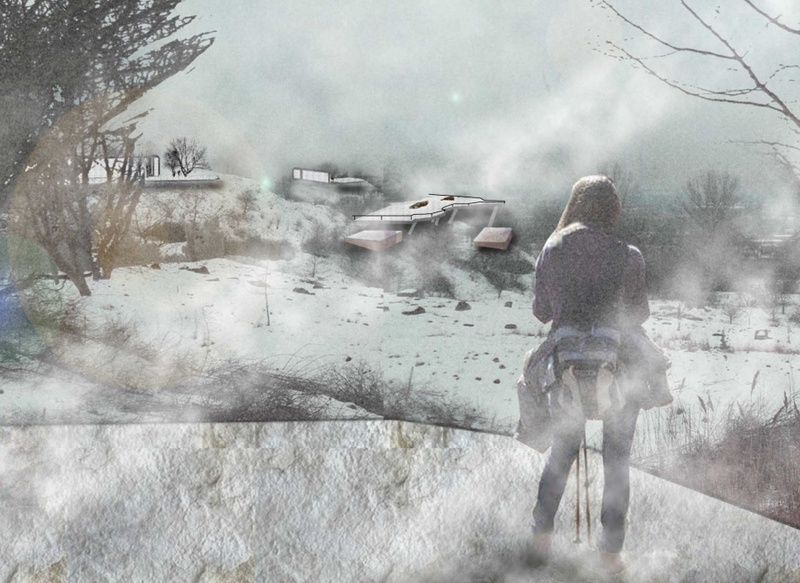 The proposal offers a temporary functionality strategy in the time a space is Land banked, focusing on three aspects: the existing homeless community living on the site, the members of immediate residential communities (Harpurhey, Collyhurst and Cheetham hill) and the existing land conditions. The project identifies and addresses existing land conditions whilst mutually tackling key social problems associated with the communities surrounding and dwelling on the land in the Irk valley. 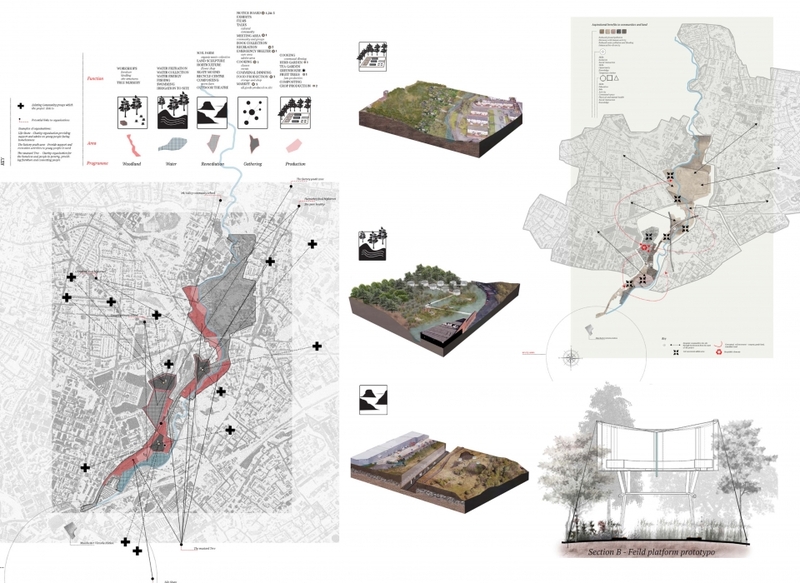 This approach encourages the strata of the ‘land’ to build and grow with social urban resiliency and inclusivity; the strategic landscape design offers opportunities for the homeless and marginalised communities, and in-turn for the lands strata its self. 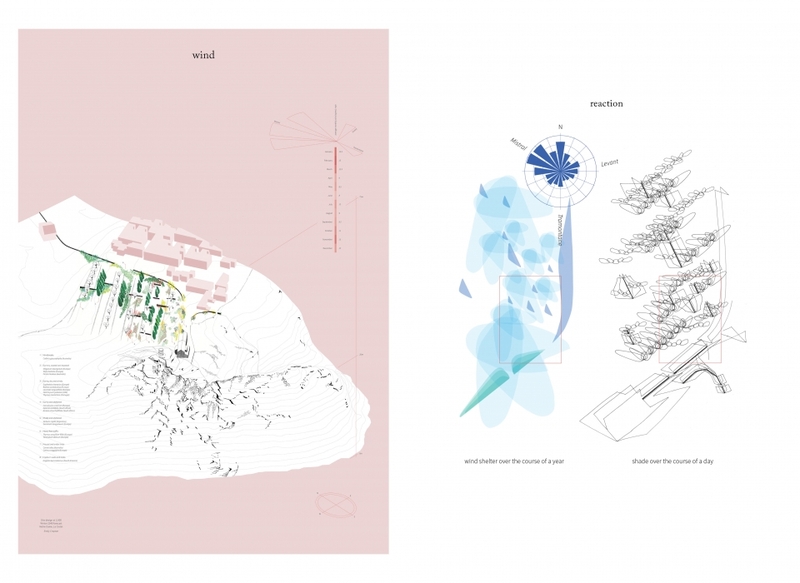 The suggested programmes are speculative from research and adhering to Landscape urbanism principles, encouraging the evolving functionality of space. 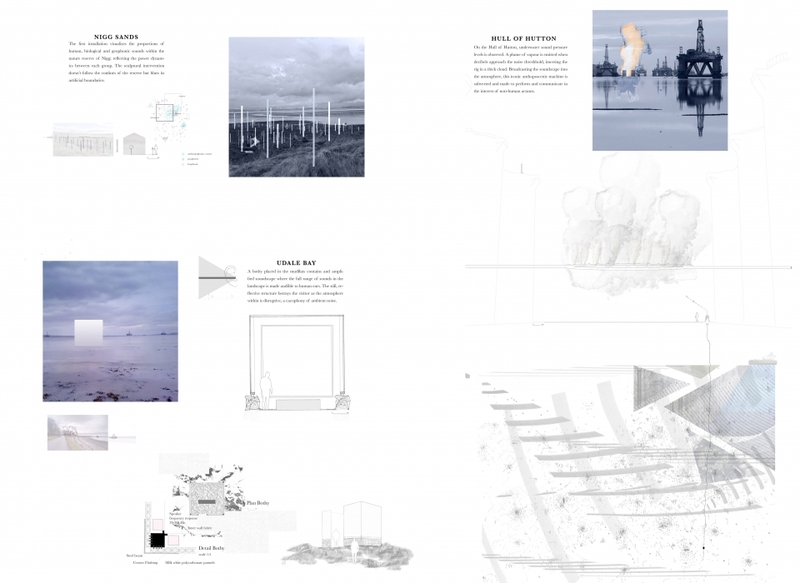 The landscape framework proposes a series of ‘field platforms’ which inhabit the different land programming zones and act as catalysts for activity and temporary shelter for the homeless. Overall the project aspires to demonstrate the potential abundance of evolving activity in the space, thus highlighting the mutual benefits to all groups. 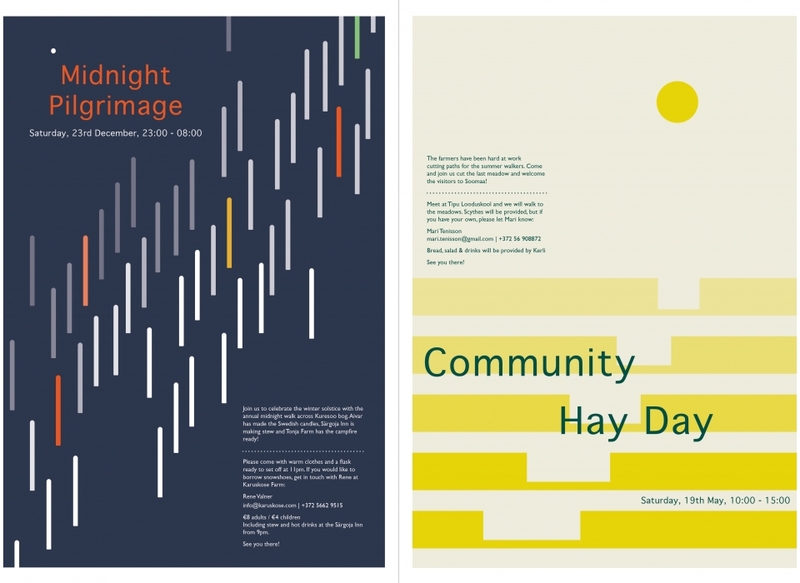 This year I took the opportunity to work on two projects both situated in or at the boundary of national parks. 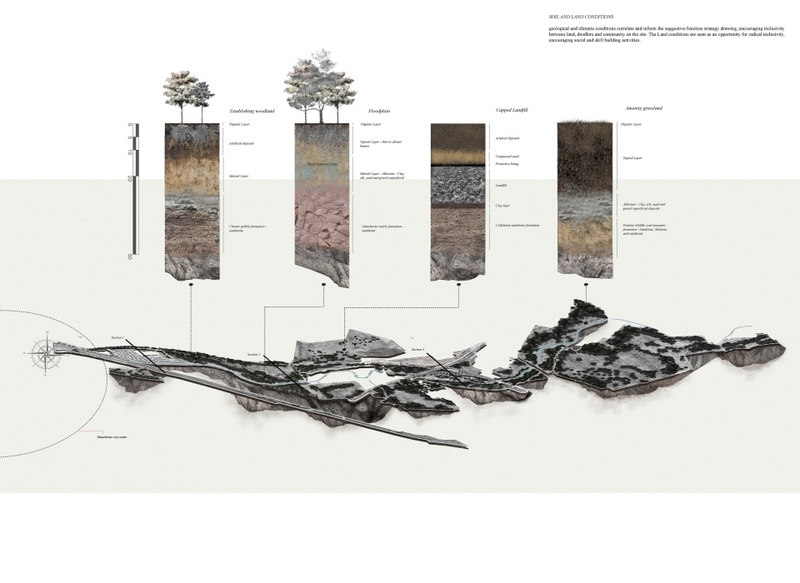 Although very distinct sites, culturally and ecologically, the context has fostered a resourceful approach to design where meaning is created through harnessing existing dynamic systems. 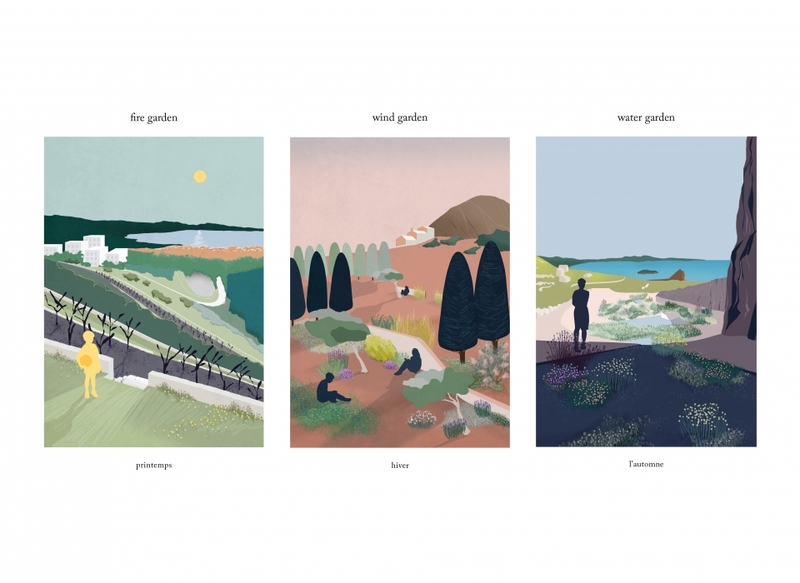 My final project proposed the creation of a series of gardens situated between the National Park of the Calanques and the town of La Ciotat on the French Riviera. The gardens mediate between the control of the landscape in the city, with its ornamental planting and avenues of specimen trees, and the control of the landscape in the national park, where the geology, topography and weather is allowed to act as designer. 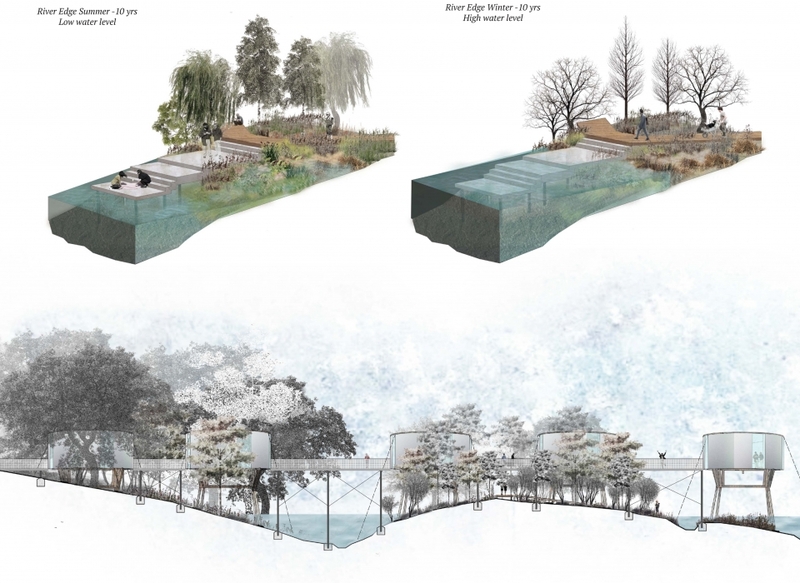 In these new spaces, a third nature is created where designed intervention reacts with environmental forces to set in motion new dynamics which are sensitive to the seasons, orchestrating the processes which already shape the national park and pulling them into the focus of a garden. 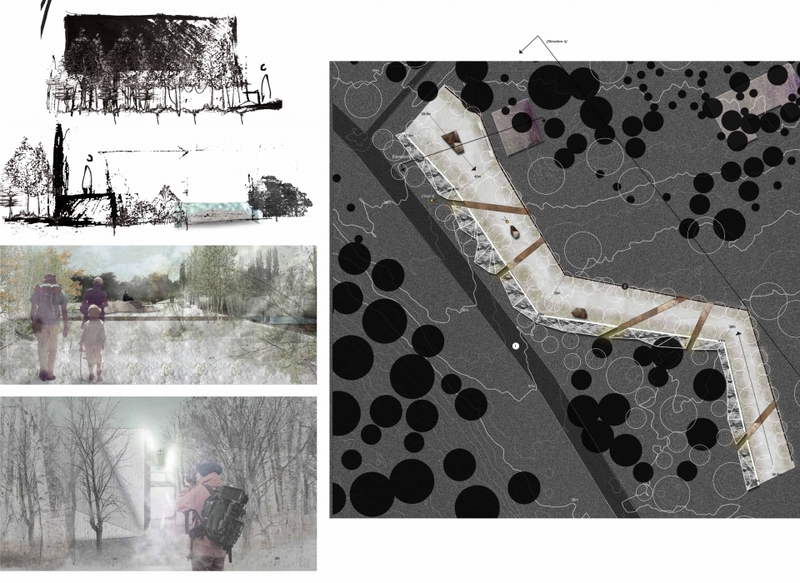 My first project situated in Soomaa National Park in south-west Estonia, sought to develop the idea of pilgrimage as a shared narrative between local people and visitors, to progress ideological and economic renewal of this sensitive rural area. 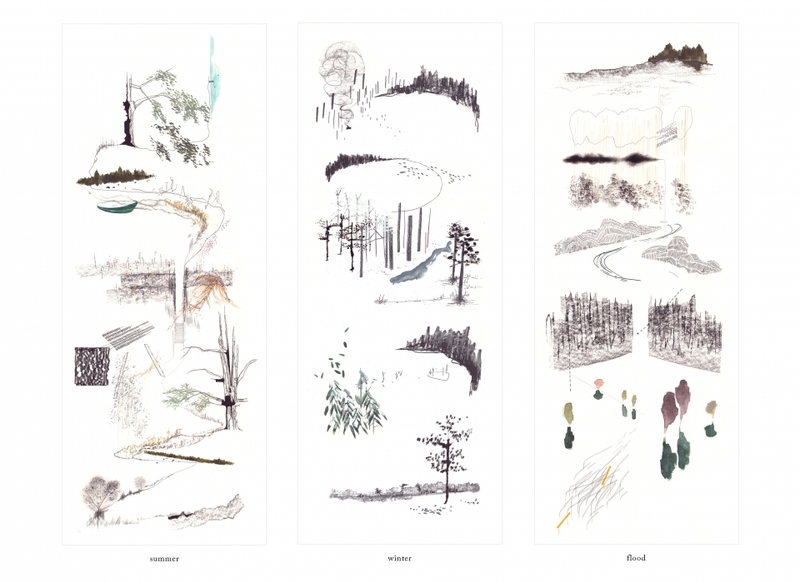 Based on knowledge from landscape sensitivity and capacity studies, I proposed the creation of three seasonal pilgrimage routes to the heart of Estonian wilderness. 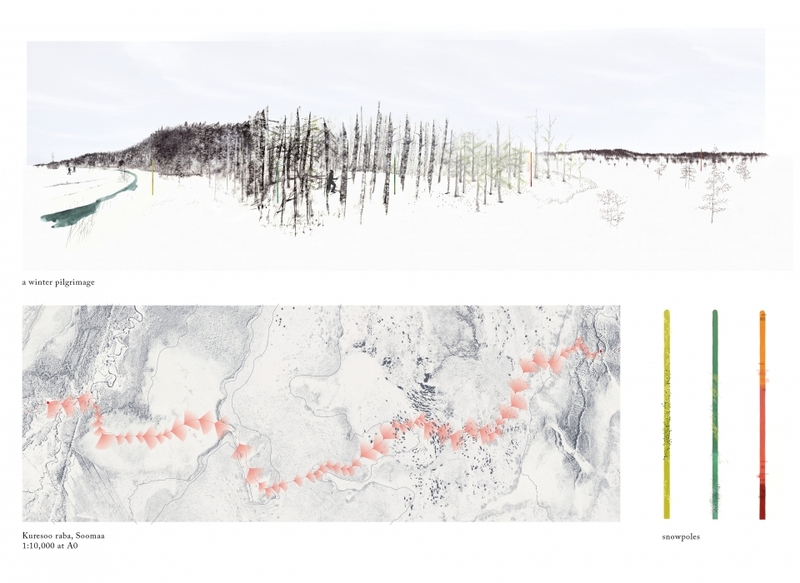 Way-marking design for the winter pilgrimage employs colour and pattern to play with the dramatic seasonal variations of Soomaa’s landscapes, creating a system which fades in and out of visibility as winter arrives and leaves. It has been a joy to spend two years learning and working in the studios at ECA; encouraged by a truly inspirational collection of tutors and surrounded by such a dedicated group of students. The experience has not just developed my skills and knowledge, but has evolved my understanding of, and approach to the world and our relationship to it. Two headlands, the Sutors, guard the mouth of the firth casting a protective shadow on the deep calm waters of Cromarty. Sheltered from the storms of the North Sea, the sea inlet holds extensive intertidal mudfats and saltmarshes that are designated sites of rich wildlife. Co-existing alongside these ecological habitats in a volatile balance, the firth has one of the safest anchorage points in Northwestern Scotland. Oil rigs tower over the tranquil water and rolling fields; dominating the eerie yet whimsical atmosphere of the firth. The presence of platforms in the inlet is dictated by the erratic fluctuation of crude oil barrel prices on the financial market. When prices slump and the profit margin tightens, big oil firms halt drilling and exploration activities, with obvious repercussions on industry dependent local economic-cultural landscape. 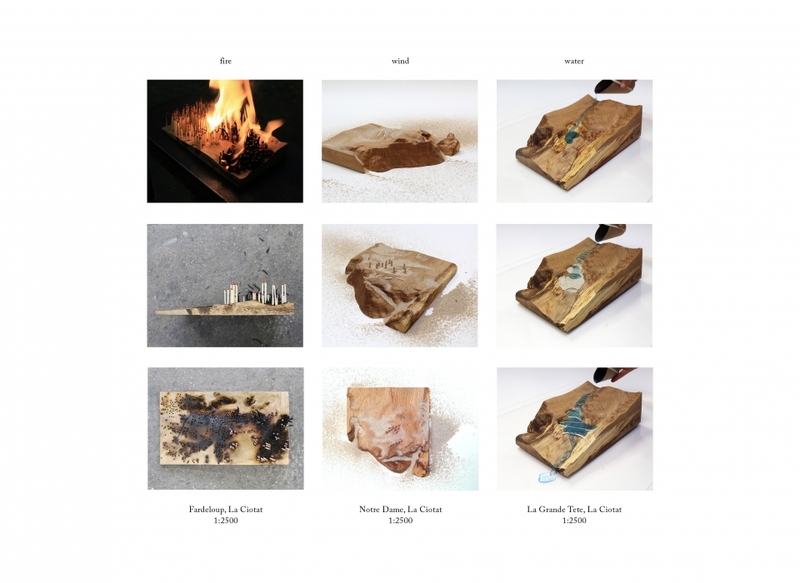 Acting in trans-scalar assemblages of power, the oil rigs perform and produce within the expansive geo-political ecologies of hydrocarbon capitalism. At the same time they are also representing and reproducing the dynamics of these networks. As Cromarty Firth, becomes a key strategic point in the decomissioning of North sea oil, noise levels on and off-shore are expected to rise significantly. While many of these sounds may remain inaudible to human ears, the rise of infrasonic and ultrasonic sounds have severe effects on terrestrial and marine life. 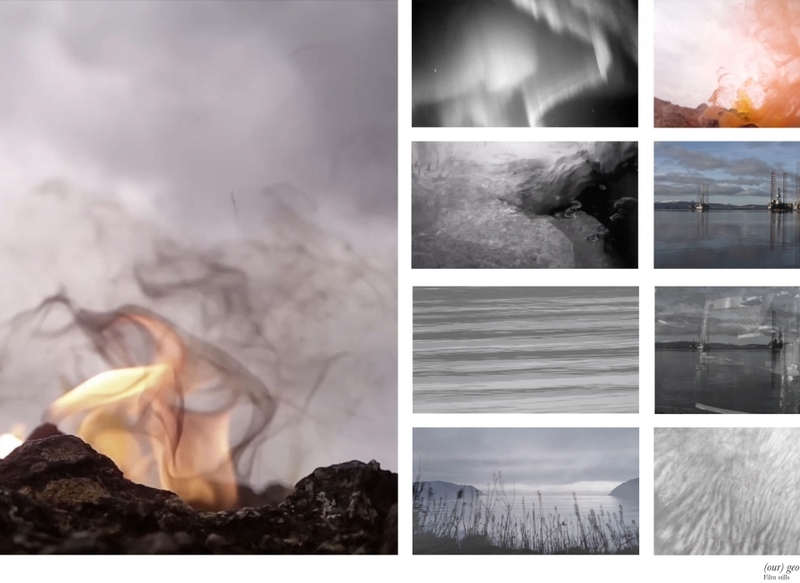 The aim of my interventions is to break the monotony of Cromarty’s energy landscape and the narratives hydrocarbon capitalism and draw attention instead to the polyphonic negotiations of more-than-human worlds. I propose to occupy the hull of Hutton, a partially dismantled rig, with a radio-station. The floating platform would broadcast the contentious underwater soundscape of the firth, allowing non-human voices to inhabit the bandwidth. 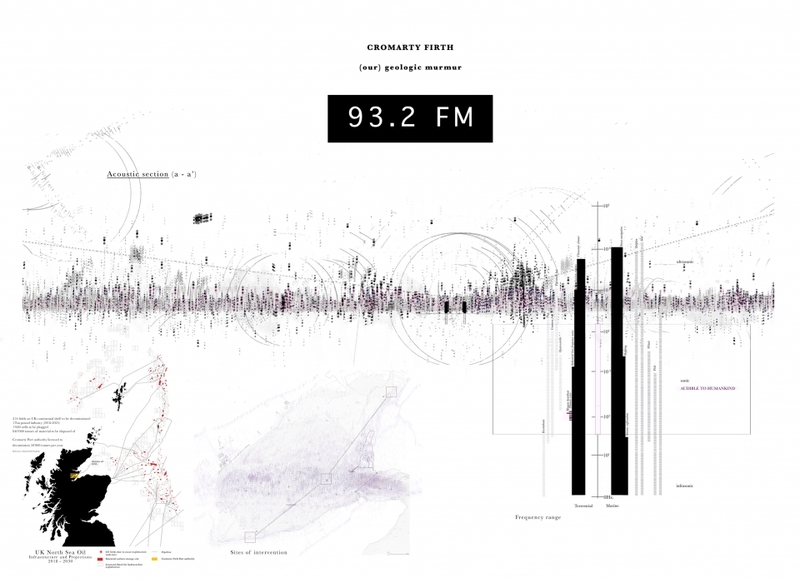 Alongside this tactical interruption, three interventions explore and make visible the political interactions of sound in the firth. Throughout the MLA program, the teaching and guidance of dedicated tutors has made for a rich learning environment. 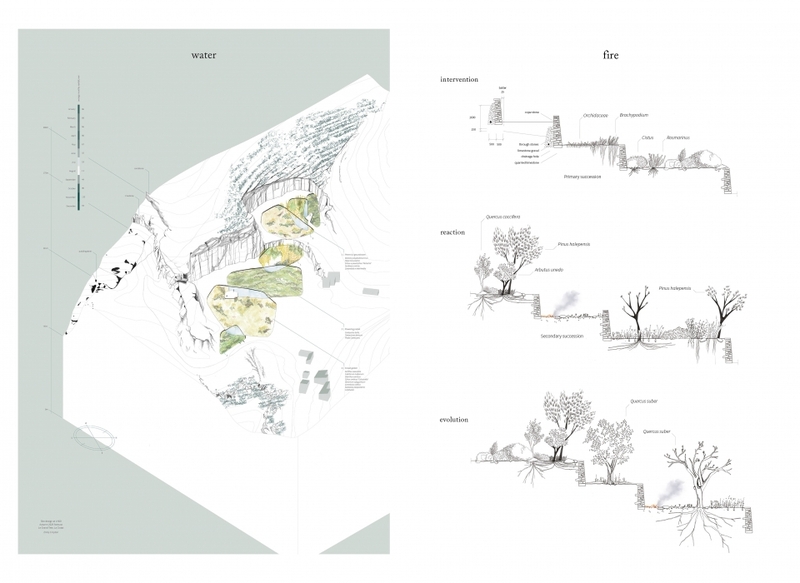 I have been encouraged to explore my individual interest, while also engaging critically with the contemporary theory and practice of Landscape Architecture. I am especially thankful to Elinor Scarth, Lisa Mackenzie and Tiago Torres-Campos for their support and inspiring approaches to the discipline.